This is another one of my favourite dish. Solely because it contains Choi Sum! This dish is a popular favourite amongst many families and restaurants. The garlic always enhances the natural taste of the vegetables. 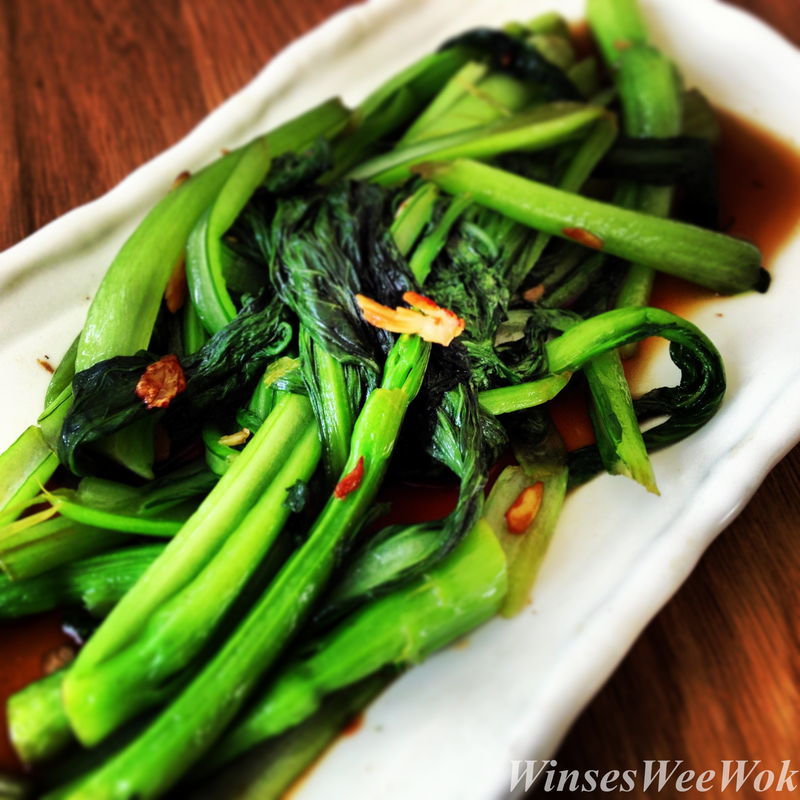 There is a reason why so many Chinese people love eating vegetables. There are no secrets it really is just to cook the vegetable the right way so they always provide that fresh crunch, and its natural sweetness. 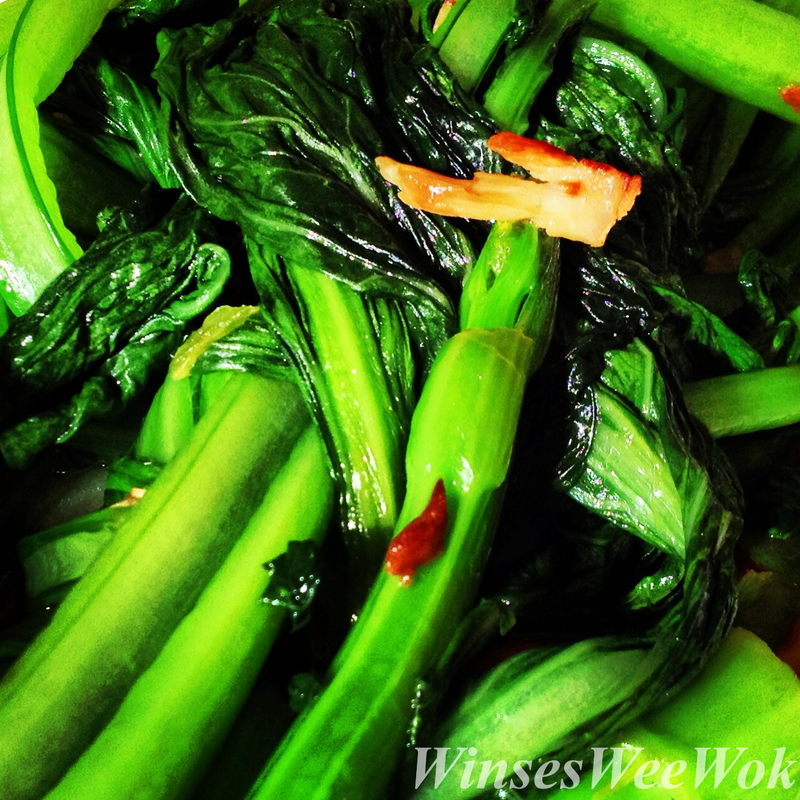 Wash Choi sum under cold running water and soak in a pinch of salt for 5 minutes, drain well and set aside. Unpeel and smash the garlic with the back of your knife, finely chop the garlic cloves, set aside. Bring a pot of hot water to boil, once bubbling, turn the heat down low. 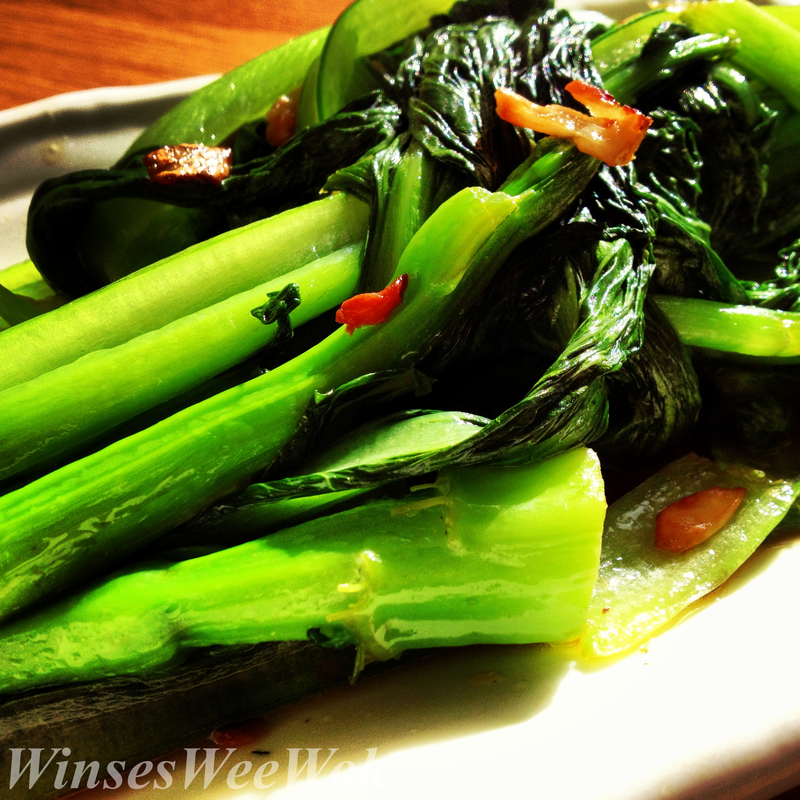 Blanch Choi sum for 30 seconds. Drain into a colander and shake off excess water, set aside. Heat a wok on medium, high heat, once hot add the oil, garlic and stir fry for 10 seconds until the garlic fragrant aroma fills the room and turns a light golden brown. Add Choi sum, salt, soy sauce and stir fry for 1to 2 minutes. Add sesame oil and serve. Oh my this is quicker than making a sandwich!